Here at the Sandstone Visitors Board we are constantly answering calls and emails from travelers hoping to visit Big Spring Falls on the Kettle River. From downtown Sandstone, Minnesota follow main street in to town, turn East on 3rd street. Turn right on Pine Ave. – continue on Pine Ave for 1.5 miles or so. The road will bend to the right then back to the left down hill to a small parking lot. 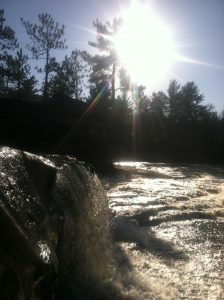 A clearly marked trail brings you to the river, continue up the river to the falls. 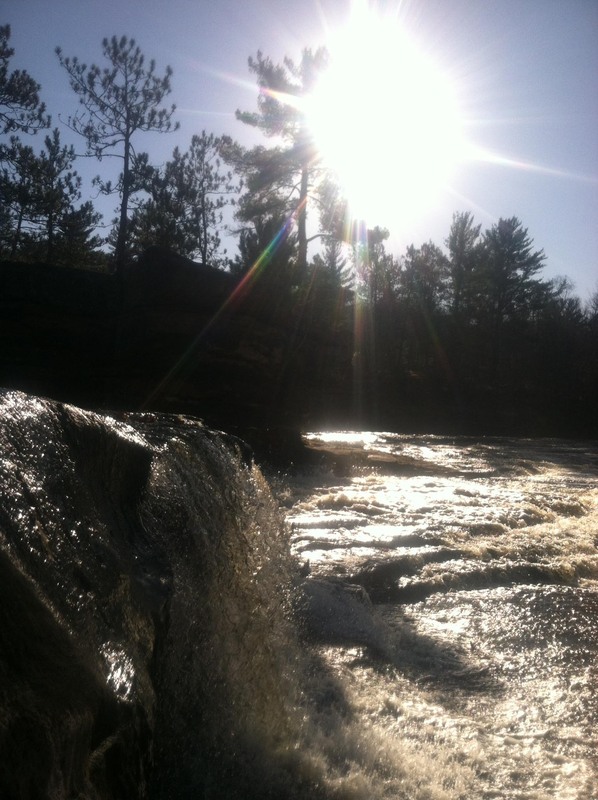 To get to Big Spring Falls on the Kettle River you must first get to Sandstone, MN. 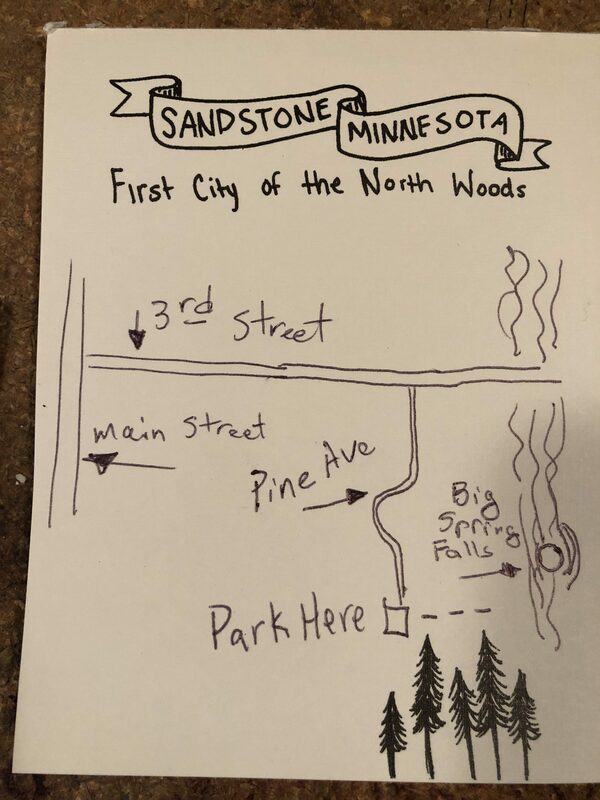 We’re easy to find- we’re halfway between Minneapolis and Duluth just off interstate 35. The Falls are part of Banning State Park but are not in the main park. Big Spring Falls is located 1 and 1/2 miles south of the town of Sandstone, Minnesota. From the main park entrance hikers can access trails to Wolf Creek Falls and Hell’s Gate, but to get to Big Spring Falls you’ll want to drive to Sandstone. 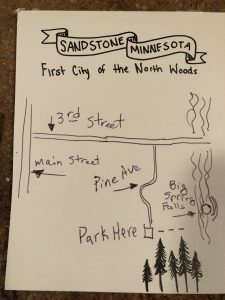 Another option is to canoe the 1.5 miles downriver from Robinson Park in Sandstone, MN. Always check water levels and the recent rainfall before making paddling plans on the Kettle River. Most of the summer the Kettle River flows through this section a a gentle pace and you can easily paddle back up the river to the boat launch in Robinson Park.